The secret to establishing stability and increasing wealth may all come down to attitude. At Consolidated Credit, we believe that your money mindset can have a huge impact on how successful you are at getting out of debt and achieving your financial goals. We talked to five personal finance bloggers from all walks of life to get their thoughts and advice on how adjusting your mindset can make it easier to build the financial life you want. A money mindset is an overriding attitude that you have about your finances. It drives how you make key financial decisions every day. And it can have a big impact on your ability to achieve your goals. If you change your mindset about money, you tend to make better choices about how to overcome challenges. In this case, the power of positive thinking really does matter. If you don’t feel like you can succeed then you’re less likely to act or even think about acting. It seems easier just to ignore your finances because the challenges seem insurmountable. Seen in this light, it’s not debt or a low credit score or limited income that’s holding you back; it’s your perspective that you can’t do any better. When you change your mindset about money to focus on the positives and what you can do, it’s easier to see the path forward. So how do you establish a positive money mindset? When you embrace positivity in finance, you come to recognize that no problem is insurmountable. Whether you have $5,000 in debt or $50,000, it can be eliminated. 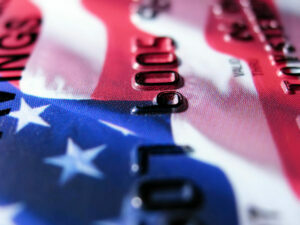 Your credit score may be 500, but no credit penalty lasts forever; it will get better! Schroder says that overcoming these negative emotions to focus on the positive is the key to success. If you focus on what’s wrong like all of the above, it’s almost impossible to get motivated. Instead, your financial focus needs to be aimed at finding solutions. You’re not the first person to be this far into debt. Look at some of the case studies we’ve gathered from clients around the country. Start with what you know: minimum payments aren’t making enough of an impact, so you need a better strategy. Even if you just fix your payments at $1,250 instead of following the minimum payment schedule your situation drastically improves. Instead of 502 months to reach your payoff date, it would only take 62. Five years is actually a reasonable amount of time for a debt elimination strategy. And that’s just making one small change in your budget. If you look for other solutions instead of focusing on feeling stuck, avenues open up. For instance, if you’ve maintained your credit score then you have options for consolidation. If you take out a personal consolidation loan, even at 7% APR you could pay off your debt in 4 years with monthly payments of $1,200. And what if you don’t have a good credit score? You’re still not stuck. You may be able to enroll in a debt management program, which put a whole team on your side. Credit counselors negotiate with creditors and work on your behalf. As a result, most clients see their total payments reduced by 30-50% and programs typically complete in 36-60 payments. Need some support to to find a solution so you can pay off your debt and turn the page on your finances? Talk to a certified credit counselor now. Attitude isn’t the only element of a successful financial mindset. You also need balance. Balance in your financial life is what fosters stability. If you spend all your time focused on debt elimination, you won’t have savings ready in case of an emergency. Or if you spend all of your time focused on your budget today, you can’t prepare effectively for retirement. Money Mantras: A daily money affirmation could be what you need to stay motivated. Manifest your finances and win $250. What’s your #moneymantra? Tell us via selfie video for your chance to win $250. The best #moneymantra gets $250. Consolidated Credit: When debt is the problem, we are the solution. Bringing change to your financial life is not always easy. The day-to-day grind of managing your money and controlling your household budget often wears you down. As a result, it can be challenging to move on to bigger and better things. A money mantra allows you to keep a financial goal at the forefront of your mind. That makes it easier to take action to achieve the results you want. So let’s look at how to create a personal money mantra that works. What is a money mantra? 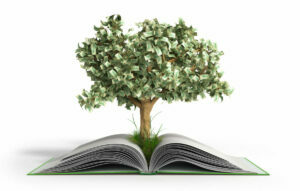 A money mantra is a simple statement of what you want to accomplish in your financial life. It can either drive you to make positive financial choices or keep you from making bad ones. It works similarly to a daily life affirmation. You state what you want to manifest and the act of keeping that thought in mind pushes you to act. It’s positive – You want to motivate yourself to act and this is usually best done with positive affirmations. Even if you’re trying to break a bad habit, you put a positive spin on it. 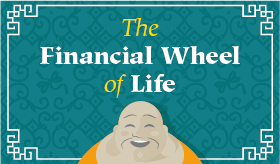 It’s financial – You want to focus on a specific area of your finances with a money mantra. Whether that goal is to eliminate debt, save money or stick to a budget, your mantra needs that financial goal to focus it. It’s simple – A good mantra of any kind is something you can easily remember and repeat to yourself. If your mantra is too long or complex, you won’t be able to easily recall it throughout your day. Start by thinking of a specific financial goal you’d like to accomplish over the next six months. For example, let’s say you want to save money. 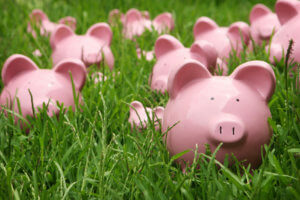 Now think of a financial habit that you can develop that will foster that goal. Then take that thought and turn it into an easily repeatable phrase. You can also choose to write your mantra down and post it places where you’ll see it often – on your bathroom mirror, your fridge or on a post-it at your desk at work. Still have questions about achieving a better money mindset? Just our certified financial coaches to get the answers you need without delay!